While Health Canada pushes reform that would see medical marijuana sold commercially, Peter Melanson faces 13 charges for running a café that offered pot to people suffering from painful medical conditions. As Peter Melanson sees it, he went into business to help others. "It just gives me goosebumps to help somebody feel better," said Melanson, sitting in an east Hamilton living room that's filled with children's books and toys. "By helping somebody by doing something that we love, there's no better feeling." Compassion clubs offer a range of medical marijuana products to fill a void in Health Canada's legal supply channel, doctors and patients say. Ottawa offers a single strain of medical marijuana, and the only legal way to purchase it is through Health Canada. Medical users insist the different strains of marijuana provided by compassion clubs offer different kinds of pain relief. However, there hasn't been any research testing those claims. Compassion clubs are illegal in Canada, and many have been shut down by the authorities. Despite his purportedly noble intentions, Melanson's vocation is currently illegal. And pursuing it openly and enthusiastically has cost the 36-year-old his business and potentially, his freedom. On Jan. 30, police raided 174 King St. W., the store that housed Melanheadz Canadian Cannabis Movement (MCCM) and Kush Pixie's Kitchen. The businesses, which Melanson ran in tandem with his wife Rebecca Bruce, sold marijuana to people suffering from painful medical conditions, including cancer, AIDS and chronic migraines. For operating what's called a "compassion club," Melanson now faces 13 drug charges involving the illegal production, possession and distribution of marijuana. Bruce faces four charges. 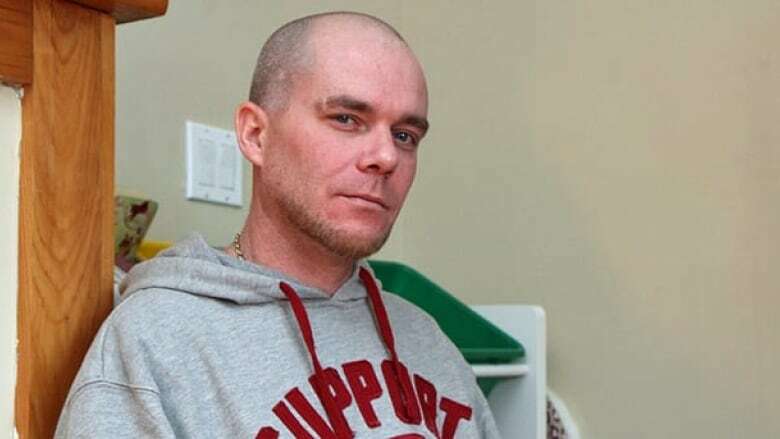 A long-time pot advocate and self-proclaimed "cannabis connoisseur," Melanson does have a licence to grow marijuana to treat the searing pain and vomiting he suffers as a result of stomach ailments he developed more than a decade ago. The condition, he said, prevents him from being able to work a typical "9-to-5" job. I wanted to give people a safe, accessible place for them to get medicine so they can get better. For Melanson, though, the ability to grow the plant for his own use is not enough. He believes marijuana has curative properties, causes much less physical and social harm than alcohol, and should be legal for all Canadians to grow, buy and consume. "I believe it's a God-given plant," he said. "For recreational or medicinal use, I don't think anybody should be denied the right to feel better." Melanson and Bruce opened MCCM/Kush Pixie's Kitchen last year. The intention, he said, was to operate as a "legitimate" business, a kind of friendly "mom-and-pop" café in which customers could chat and have a snack while consuming medical marijuana. "I wanted to give people a safe, accessible place for them to get medicine so they can get better." Melanson said he primarily served people who had Health Canada approval to possess marijuana, adding he would sell to people who produced doctor's notes. He also said the business paid taxes, and he adds that he installed security cameras to monitor who came in and out. Clients had choices, he said, both in terms of the type of marijuana they consumed and how they consumed it. Melanson said he, unlike Health Canada, offered several varieties of pot, and often made recommendations to customer depending on their conditions. "Certain types of cannabis help different illnesses better," he said. "If you're only going to give people crappy cannabis, they're going to get worse." CBC Hamilton spoke to a client of MCCM who experiences chronic migraines. The source, who asked not to be named, said he buys from the business because marijuana he has purchased from other licensed suppliers doesn't give him sufficient relief. "A person like me, I need a specific medication to help me because I have a disability," he said. "They were providing me adequate medicine to help me function. My thing is, if I can't get my medicine … I will lose my job, I will lose my house, I will lose everything." Melanson's arrest came less than two months after the federal government proposed changes to how Canadians access medical marijuana, changes that could sanction businesses like the one he envisioned. At the moment, patients must be registered with Health Canada and many obtain medical marijuana from the government. Some users have a licence to grow their own marijuana — as long as they produce it only for their own use — while others have a legal designate grow it for them. In December, Health Minister Leona Aglukkaq announced the move from the current regime to a less centralized, more commercial system. Under the proposed system, which could be put in place as soon as 2014, the government would have a much smaller role in the distribution of medical marijuana. Health Canada would no longer issue licences to patients. Instead, it would be up to physicians to give out specialized prescriptions to patients who need marijuana. Additionally, the new rules would establish a regulated commercial market, allowing prospective distributors to apply for licences to grow and sell the drug. Though he favours the idea of being a licensed, aboveboard producer of medical marijuana, Melanson is critical of the proposed changes. He fears that he and Bruce, as small-time operators, wouldn't be able to afford the overhead costs of running a large enough operation to qualify for Health Canada certification. "I'm not a millionaire. I don't live in a million-dollar mansion. I'm not that guy." However, Jeannine Ritchot, director medical marijuana regulatory reform, said small growers would be able to operate under the new rules, so long as they satisfied certain security criteria. Applicants to the program would have to undergo a background check, and those who have previous drug convictions may not be eligible for government certification, she said. "It's quite possible that that would come back as a red flag. I think it's important to underline the need to prevent the risk of diversion." The Canadian Medical Association has also come out against the proposed reforms. Dr. Anna Reid, the organization's president, said the medical community does have enough information about medical marijuana to prescribe it safely. "We are concerned as physicians that we are responsible for having weighed out the risks and benefits of a particular drug," she said, adding that the long-term effects of marijuana usage, especially of smoking it, aren't fully known. "We've asked Health Canada to enable more research into this area, but it hasn't happened, unfortunately." While the federal government is considering how medical marijuana reform will roll out, Melanson is mulling his own future, and especially that of his family. Their bail conditions stipulate that he and Bruce can't see each other unless they are in the company of their sureties, a tough arrangement for a couple who share a two-year-old daughter. "I can say the worst possibility is going to jail, but perhaps the worst part about it is preventing a family from being a family." But despite his predicament, Melanson is adamant he's "not ashamed" of what he's done — and insisted he isn't ruling out a return to selling medical marijuana. "I want to open a dispensary and I want to open a café. And if I can, I will."